And so as not to bury the lede, the court concluded that the plaintiff, a medical marijuana user, could pursue discrimination claims under the New Jersey Law Against Discrimination (the LAD) against his employer. There’s a lot to unpack with this case, and I’m resisting the urge to turn what should be about a 500-word post into a 5,000-word post. But, I think that I can hew to the former. A funeral director, a hearse accident, and some medical marijuana. The facts that I’ll recite below case come from the appellate court’s recount of Mr. Wild’s complaint. Since the appellate court was deciding a motion to dismiss (i.e., the parties had not yet taken any discovery), the court had to accept the plaintiff’s version of the story as true. Mr. Wild was a funeral director. Among other things, Mr. Wild’s job required him to drive the hearse. A few years after Mr. Wild’s employment began, his doctors diagnosed him with cancer. The next year, Mr. Wild was involved in an auto accident on the job, but it was not his fault. At the hospital, Mr. Wild informed doctors that he used medical marijuana, and the doctors told him that he was clearly not impaired during the accident. Eventually, Mr. Wild’s employer learned about his MedMar use and insisted that he be drug tested. Although the test results did not indicate that Mr. Wild was impaired during the accident, the employer eventually terminated Mr. Wild’s employment because he failed to disclose that he used medication that could create a safety risk on the job. Or maybe it was because he used medical marijuana. It’s a bit unclear. New Jersey’s MedMar law does not permit a claim for disability discrimination. A few months ago, I blogged here about the first New Jersey federal court decision addressing medical marijuana and workplace accommodations. In that case, the federal judge concluded that the New Jersey Compassionate Use Medical Marijuana Act did not require an employer to accommodate an employee’s use of medical marijuana by excusing him from a workplace drug test. Mr. Wild can pursue his discrimination claim under the LAD…for now. [T]he Compassionate Use Act’s refusal to require an employment accommodation for a user does not mean that the Compassionate Use Act has immunized employers from obligations already imposed elsewhere. It would be ironic indeed if the Compassionate Use Act limited the Law Against Discrimination to permit an employer’s termination of a cancer patient’s employment by discriminating without compassion. Once the relationship of these legislative enactments is so understood, the matter boils down to a routine determination of whether plaintiff sufficiently stated one or more causes of action under the LAD. For our purposes, one such claim is enough. 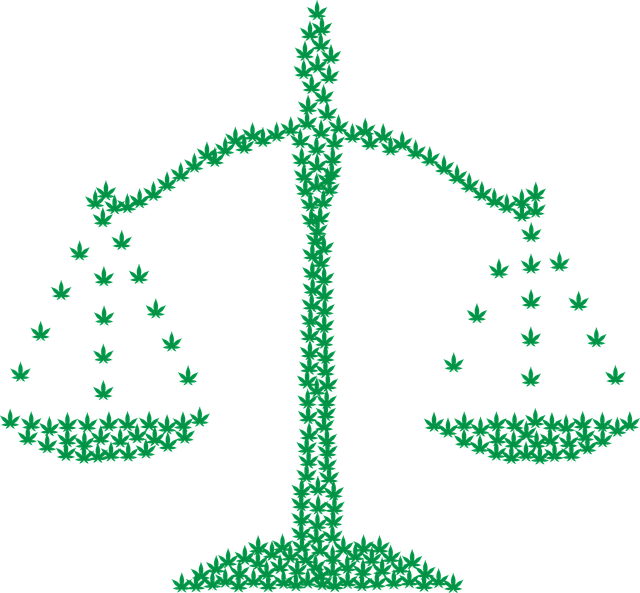 … As observed, the second amended complaint contains allegations that Carriage — aided and abetted by the individual defendants — discriminated against plaintiff, who claims to be a cancer sufferer and, for that reason, a medical-marijuana user…. [W]e cannot ignore that this case is only at the pleading stage; our only role is to search with liberality the second amended complaint for a fundament of a cause of action without searching the pleading for proof of the allegations. [D]efendants may argue [later that] termination was based on plaintiff’s inability to perform the tasks required or because his inability to pass a drug test may jeopardize licensing — all potential responses to a prima facie discrimination claim that would then be subject to allegations of pretextuality. What does all of this mean for employers? An individual with a disability can plead a LAD disability discrimination claim regardless of whether that individual treats with medical marijuana. However, you can still have a drug-free workplace policy. You can require a medical marijuana user to perform the essential functions of his or her job. You do not have to permit an employee to use medical marijuana if his/her failing a drug test would jeopardize licensing. Any defense that the employer has to a MedMar user’s disability discrimination claim may have to wait until summary judgment or trial.